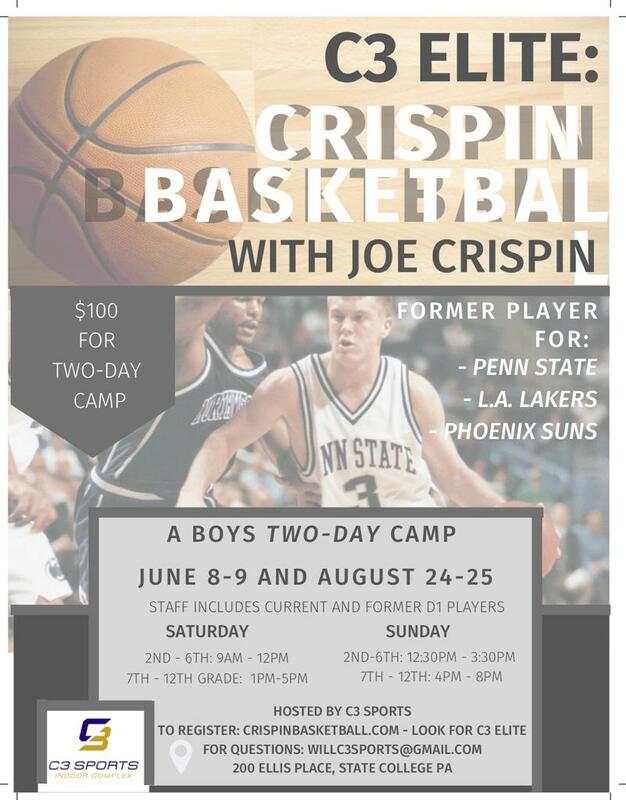 C3 sports is proud to announce a brand new partnership with Crispin Basketball! This summer Joe Crispin will be returning to Happy Valley to run inaugural skills clinics for the local community. Joe is the second all-time leading scorer at Penn State, and had a successful playing career in the NBA with the Phoenix Suns and LA Lakers where he played with Kobe Bryant and Shaquille O’Neal. These clinics will serve as premier basketball events where players can learn the fundamentals of basketball while having tons of fun! Staff will include current and former collegiate basketball players and coaches only. If your son or daughter is looking to learn fundamental basketball skills, how to effectively “think the game” and have loads of fun, these are the clinics for you. 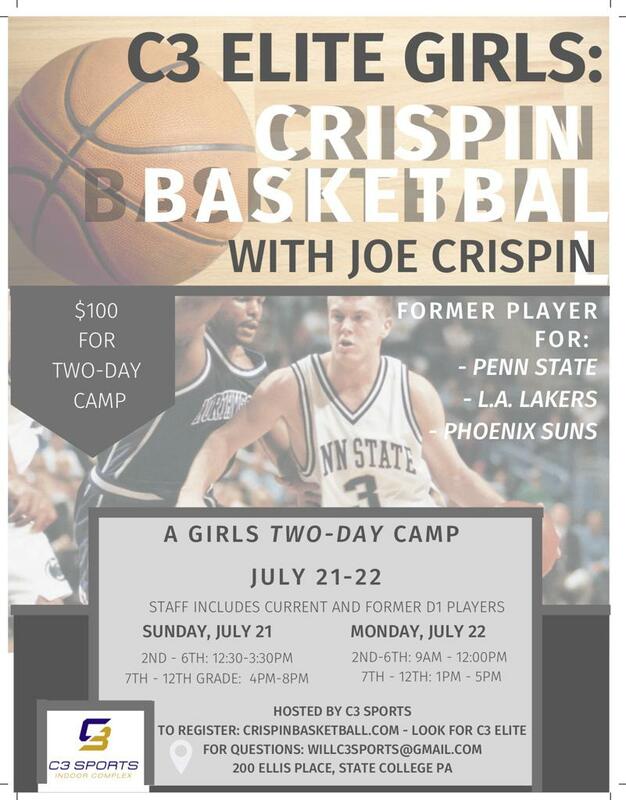 Our staff is dedicated to the highest quality experience for every camper, and all programming will be based upon the “Crispin Basketball mission”, as well as input from C3 Elite's premier developmental basketball staff. We have a place for you whether you are looking to play basketball for the first time, or if you are interested in playing at the elite high school level or beyond.